Directed by Frances Mercanti Anthony, with music direction by S. Mark Aliapoulios. 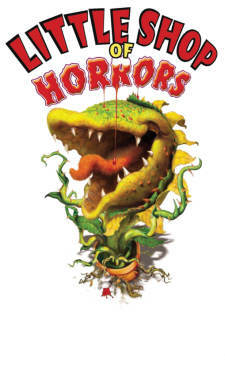 New England Music Camp’s musical theater students will conclude the NEMC season in their performance of Little Shop of Horrors. Directed by Broadway veteran and NEMC newcomer Frances Mercanti Anthony (Spring Awakening), this group of young talent from across the country will perform this “deviously delicious Broadway and Hollywood sci-fi smash musical, that has devoured the hearts of theatre goers for over 30 years. Howard Ashman and Alan Menken (Disney's The Little Mermaid, Beauty And The Beast, and Aladdin) are the creative geniuses behind what has become one of the most popular shows in the world. Performances on Friday and Saturday. Doors open at 7:00. Admission: $20 for adults, $10 for students and children.